Zombies, Run! 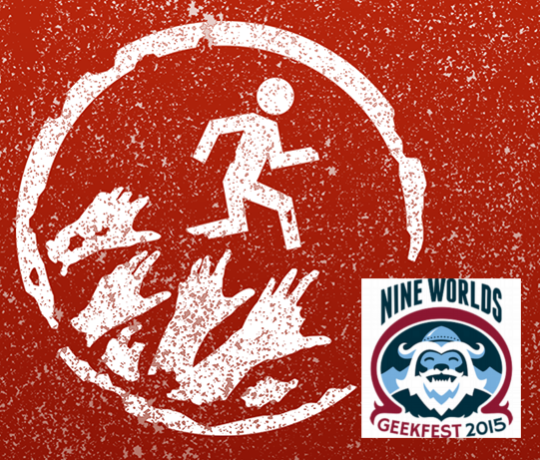 at Nine Worlds London – Zombies, Run! Runner Five! Are you in London? Do you love ZR? Are you free next weekend (6th -9th August)? Why not come see Team Zombies, Run! at Nine Worlds London? A whole bunch of us will be in attendance, so do stop by and say hello if you’re there too! We’re really excited about the weekend, so come on down to join the fun! If you’ll be attending, don’t forget to let us know on twitter (@zombiesrungame)! Previous Post 4.1.2 on iOS & Android out now!